As parents, we sometimes wish that things at home would change in a therapeutic twinkling of an eye. That the spirited tantrums in our toddlers would somehow mellow, and what seems like perpetual shyness in our school-aged children would be overcome by a sudden burst of enthusiastic bravado. Unfortunately, that rarely ever happens. 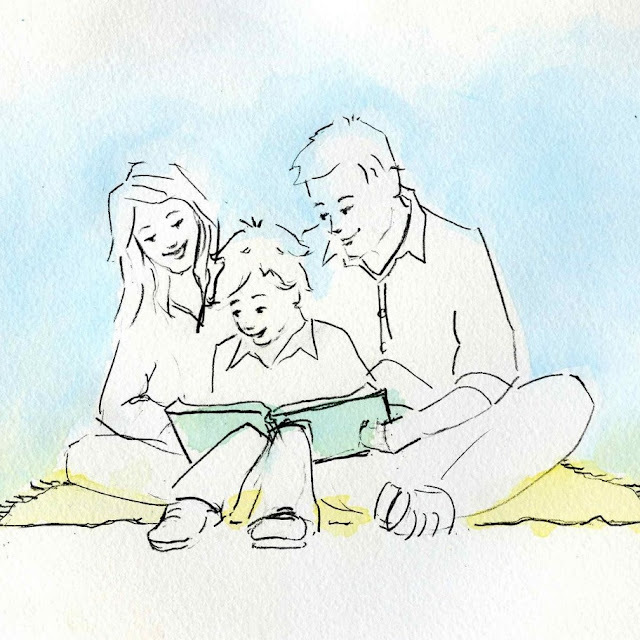 The intentions and interventions we try to put into play in our parenting often result in small, barely discernible steps in their intended direction. However, sometimes we come across glimmers of hope, and help from the most unexpected places. A serendipitous link-up with one of our favourite mummy-author friends Melanie Lee (watch this space for our upcoming review of her latest Squirky books!) allowed us the chance to meet up with the lovely Leila Boukarim, a down-to-earth and unassuming mother of two boys. 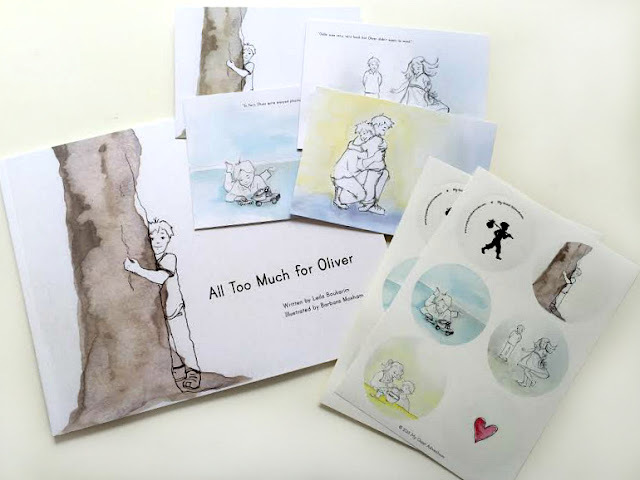 As she shared with us the story of how her first title All Too Much for Oliver came into publication (you can read it firsthand in her blog here), so much of her story rang true with us. The illustrations of the book are delightful and depict the events wonderfully. You see, we rather strongly believe that we are the parents of two highly sensitive and spirited boys. 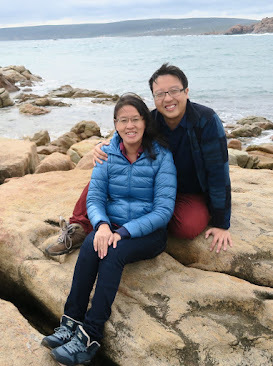 It's something we don't talk about much on the blog, largely because we believe that our children really have the right to grow into who they are becoming without parents who have dictated what they think that might be in this world of cyberspace where the personal often turns public. But I feel a little more self-disclosure is in order in the light of this review, because I believe that I myself was a highly sensitive child; and that this 15 - 20% minority of highly sensitive types in an 80% majority deserves some air time, and of the positive kind for once. I am sure many of you who fit into this category would find the following scenarios all-too-familiar: Getting a pep talk from well-meaning parents before a social event reminding you to smile, say hello and shake hands with whoever you might meet; Receiving an annual school report from your teacher saying that you were quiet in class and should speak up more; Feeling anxious and stressed before a party as you think about all the small talk you might have to make. And there are many other such situations. The world indeed seems to favour those who are at ease in a crowd, who can walk into an unfamiliar space and strike up a conversation with all and sundry. And as parents, we worry about our children who just do not seem to be living up to these societal expectations. We fear for their future, and wonder if how they are behaving has anything to do with our poor parenting skills. Just last year, we thought we were alone. Three and a half years after our son was born, we still felt like we were the only ones having to constantly deal with a screaming child at a restaurant; the only ones who always had to cancel plans because our child woke from his nap in a bad mood; the only ones who couldn’t get our son to go ahead and try the slide because it’s fun. We blamed ourselves for the fact that our son would cry during every single shower because he couldn’t stand the water in his eyes. We were accused of not having done our jobs properly as parents because he would run away screaming if another child tried to play with him. Just last year we had to turn down yet another birthday party invitation to try and save ourselves from having to explain to other parents why our son won’t stop crying and why he won’t join in the “fun”. Just last year I found myself at a loss for words when faced with family members and friends asking me why our child is “like that”. Enter Oliver, a highly sensitive and extraordinary little boy. He tiptoes stealthily into your heart in a story accompanied by the gentlest of illustrations and muted water colour tones. Oliver's circumstances resonate with our own. Who hasn't felt as if they were standing at the sidelines wishing they could be a part of something, and yet feeling overwhelmed by the situation? Oliver finds loud places just a bit too overwhelming and prefers to play on his own, and yet when a bouncy and exuberant new friend moves in to live next door, he finds himself gradually gaining the courage to overcome his fears, because perhaps the relationship he has with sweet Odile is the very thing he needed all along to try out things he had never tried before. situations he is not comfortable with? I appreciate the peaceful, respectful manner in which the message is put across in the book. A lot of books for children on this subject seem to be still written to bring the adults' messages across to them, instead of really speaking to them as though we are all at the same level. All Too Much for Oliver embraces and accepts Oliver for who he is. He is not told by his parents to change, or to decide to join in the activities at the pool or the playground. 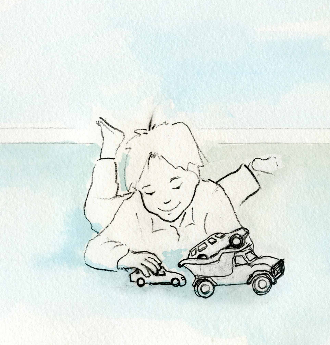 Oliver is given permission to change his mind about going to the playground when it is too overwhelming for him, and the changes are seen in small, tentative movements in the right direction. His parents' overall concern is for his happiness and well-being, and when he finds it in his unlikely friendship with Odile, they are still there in the background with their quiet and unconditional support. What does it mean to provide someone with your unconditional love and acceptance? Needless to say, our children loved Oliver. They asked me to read the story to them at bedtime the very day I brought the book home. Our bright and insightful older boy, who generally prefers not to be in loud and noisy environments, asked me the next day at an empty playground, "What would Oliver say if this playground suddenly became full of children?" And it has been that way since then. "Would Oliver be enjoying himself at this performance?" "What would Oliver say if the water play area was crowded?" Oliver has become a friend in our home. I can't say the same for many of the characters we've read in story books - well, there's been a few of our family favourites - Eva, the little Inuit girl from The Very Last First Time, Mirette from Mirette and the High Wire, and Giovanni from The Clown of God, all fictional characters our boys constantly refer to for inspiration. It looks like we've now added this brave little boy into the picture. 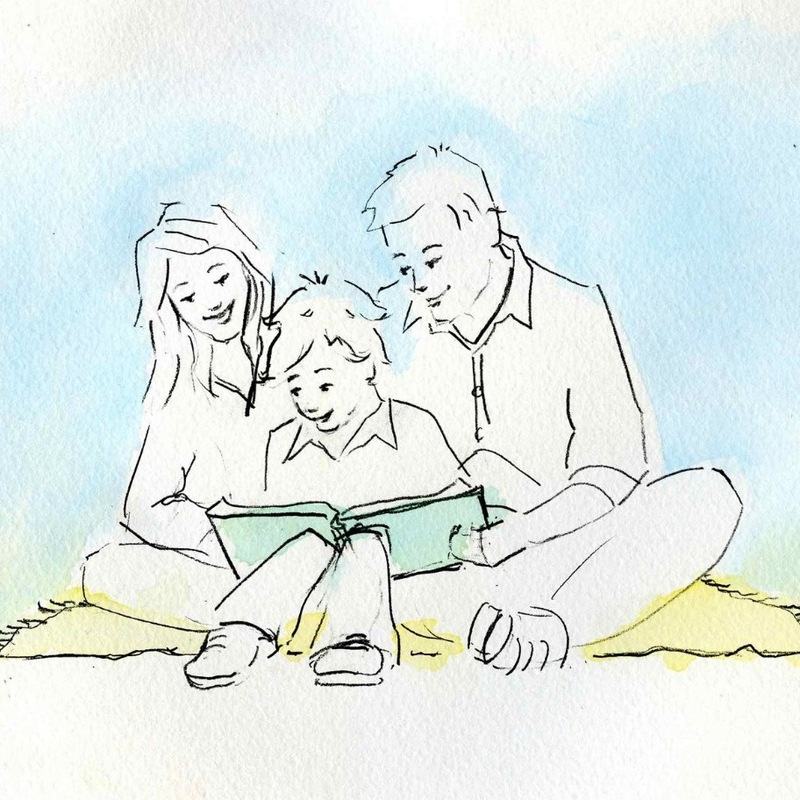 To find out more about whether your child is highly sensitive, or even if you are - and if you would like more resources on the subject, do take a look at the website My Quiet Adventures. You can find All Too Much for Oliver in our sister-store, Sensational Play. 1) Like the Parenting on Purpose and My Quiet Adventures Facebook pages. Comment on this post and share with us what are some things or situations that overwhelm you. The giveaway will end on Sat 19 Mar and entries must be submitted by 8pm. 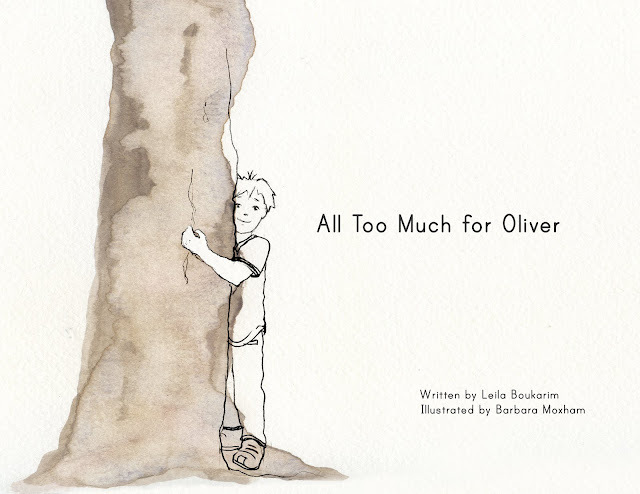 Congratulations to Ashmika Jain who has won the giveaway for All Too Much for Oliver! You will be hearing from us soon! With my kids are outside and are acting up , each and everyone of them. I call them the bad days ! Having to discipline my kids after a long stressful day at work overwhelms me. Networking events where I have to make small talk. I don't know what to say to others. Being a Mom, when I see my kids facing challenges each & every day & trying to handle that physical,mental emotional stress always overwhelms me. I do understand it is necessary but at the same time it becomes too much some time..